One thing that I hear moms grumble about, especially here in Japan is the lack of quality time to have with the family, whether that be with the kids or the partner. And as the kids get older, their schedules get busier and we do have less time together and the time we do have is usually taken up with mundane jobs like cleaning the house or ferrying them from one place to another. That doesn’t mean we can drop all the connection time, I believe that the busier we are, the connection time is even more important. 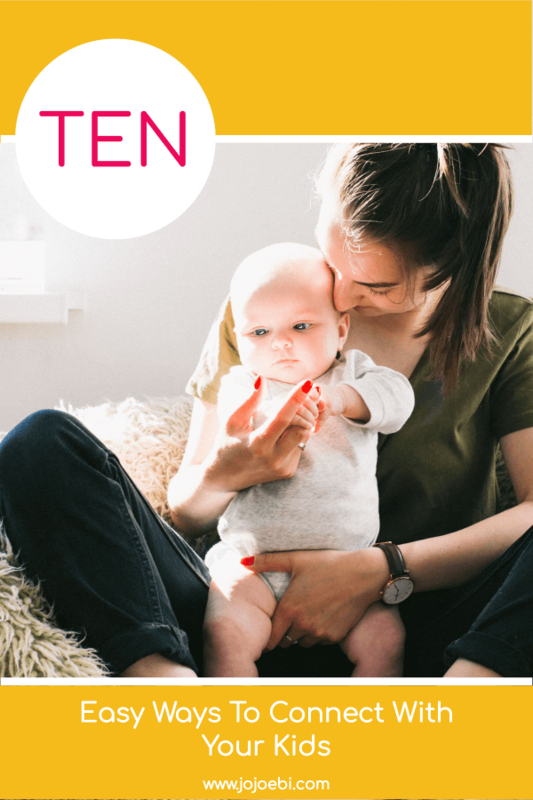 It might not feel like it if you are going through that stage where you seem to have a toddler velcroed to your leg 24/7 but believe me, that time will end sooner than you think and it won’t be long before you will want to connect with your kids. You are probably aware of the Law Of Attention: The more important the job you are trying to focus on, the more attention the child needs. You know it to be true, how many times have you tried to get something done but your kids have some secret superpower that alerts them to your urgency and makes them become extra whiny and needy! Well here’s the thing, they are craving attention and when you are less busy you tend to acknowledge them more without realising. Answering their questions or sorting them out with a drink. But when we have something urgent to deal with, our tolerance level drops and that’s when things start to get scary. Mom snaps, kids kick off, tantrums are thrown and before you know it world war three has broken out! The upside of this scary tale is that it can be fixed, by building stronger connections with your kids they will come to understand that when you ask to be left alone for a short time, they will respect it. Even toddlers can get the hang of it if you train them. There are more ideas here on how to deal with that. When your child asks you a question, if possible, stop what you are doing (not if you are driving for example!) and look your child in the eye. Your child will know then that you are really listening and interested in what they have to say, whether it be telling you a story about something that happened at school or asking you some random question about the colour of dinosaur poop. But not only that, by stopping and making eye contact you are modelling good social skills for your child. We all feel better when someone actually stops and pays us attention during a conversation but with the whole increase of smartphones and tablets, there are more grunting acknowledgements whilst looking down than there is direct eye contact. And we know how annoying that is because we have all been there when you get a grunt rather than eye contact and a proper answer. If you have a shy child or one that feels awkward at making eye contact, especially with people they don’t know well. Tell them to look at that spot between the eyebrows, that way it will appear that they are giving direct eye contact without getting freaked out. I wish I had known this trick as a kid, yes, I was that shy kid! Ice-cream dates. It doesn’t have to be ice-cream! But schedule date times where the kids get some 1:1 with each parent. Now if your schedule is crazy busy then you will have to sit down and write it in the schedule to make it happen. Set a time and place and make sure each child gets a turn, it might be that Ice-cream Date Time can only happen once a month but that means it will be more exciting and the kids will be more excited about their date time. I have a friend with 3 girls and they have a schedule so each girl gets a date out with either mom or dad over the course of the month. Why ice-cream? Fewer distractions, so you can actually sit and talk and that is the point. You know, to connect with your kids. It might be fun to go to the batting centre or swimming but that reduces the time you can actually connect, so pick an activity which gives you time to talk to each other and keep the smartphones in your bag. Get down on the floor! 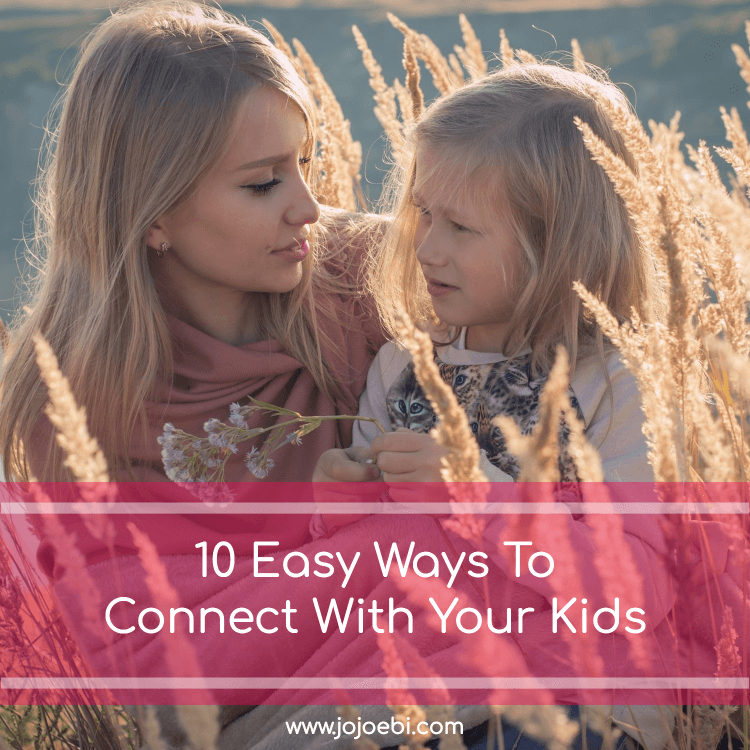 Kids feel more like you are connecting with them when you are at their level, so get on the floor and spend some time playing with Lego, dressing Barbie or whatever it is your kid is into. Just 10 minutes of focused playtime with your child can make a huge difference, that’s the equivalent of what? 3 Facebook cat videos? Invite them into your world. Ask their opinions on your adult decisions, get them to help brainstorm solutions to any problems. Ask them for suggestions. Should I wear this or that, should we have chicken or pork for dinner? What colour should we paint the living room? Any time you do this the child feels more involved and a bigger part of the family rather than it being us (the kids) Vs them (the adults). Music. Singing along to favourite tunes together, at home or in the car. Music is a great connector and something they will carry through to adulthood, I’m sure you have a song or two that takes you back to your childhood, these are those songs and those memories in the making. And let’s include dancing in here too, dancing is a brilliant way to change up the mood and energy and a great way for moms to sneak in a bit of exercise too. Kitchen dance parties are often on the menu at our house. What did you play at break time? Did anyone cry or was upset today? Which was your favourite lesson today? And then ask to follow up questions to keep the conversation going. Reading. 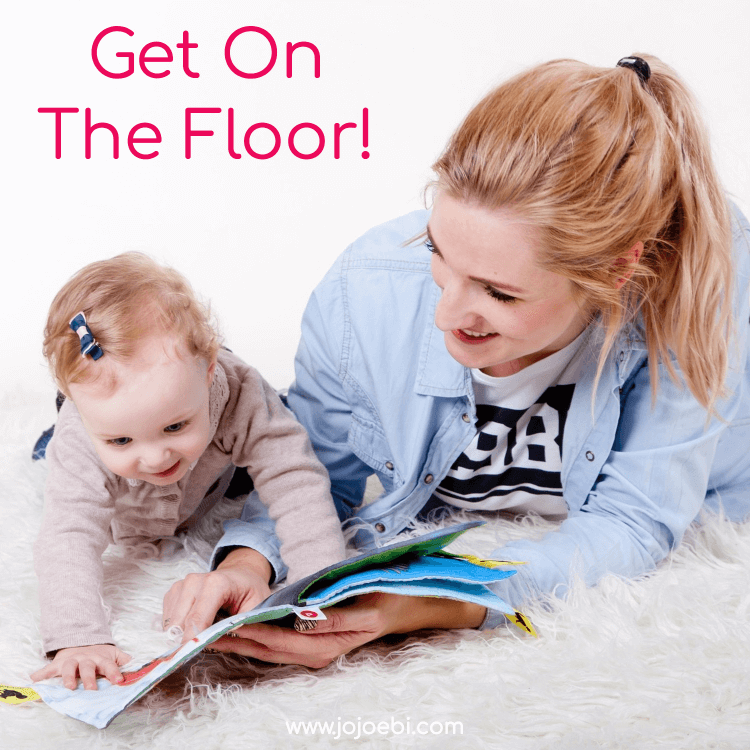 Books are a great way to build connections from having a wriggly toddler sat on your lap as you read The Very Hungry Caterpillar for the sixty-trillionth time to reading the classics or modern classics with your teen. Either you reading to them or when they are able to, them reading to you. Sitting down together and enjoying a good book is invaluable. As you are reading longer books, discuss the plot, talk about what you think is going to happen and why certain things are written as they are. What would you do in the character’s shoes? Then when you have finished the book, watch the film (if there is one) this open up even more discussion, was it as good, better or worse than the book? What was the same/different? I recommend book first because once you have watched the film, you have the film characters in your imagination rather than the author’s representation. Three things. Before turning the lights off for bedtime, have a cuddle and talk about the three things that you both enjoyed that day. Or three things you are grateful for, it’s always a good idea to end the day on a high note and you sharing your three things will make your child feel included too. This is also a good exercise for both of you if you have had a particularly “trying” day, you know the ones, whereby bedtime it is some kind of miracle that you still have a child to put to bed! Often those trying days are the ones where you need to connect with your kids, even more, extra cuddles before bed will let them know that they are loved and they are safe. Physical contact. 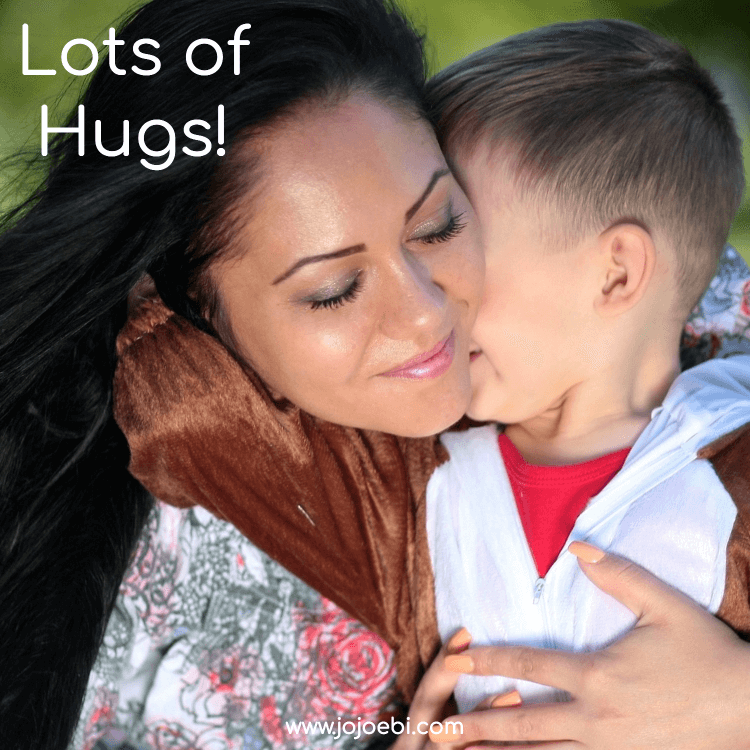 The majority of us love being hugged so make sure you are getting a good quota of hugs in a day. There will be a point where hugs outside the house will be frowned upon (hello tweenagers!) but that doesn’t mean you can’t have hugs inside! Back rubs, pats on the back, high fives, tickles, kisses… all ways to connect with your kids. Laugh. They say laughter is the best medicine and laughter is a great connector. In the mid-1980’s a younger professor named Provine discovered that nearly 90% of giggles were triggered by mundane remarks rather than punchlines. Provine theorized that laughter was being used to bond with each other. He also went on to prove that laughter is contagious and that we are more likely to laugh in the presence of others than when we are alone. Really, any excuse for a good laugh is a good one. 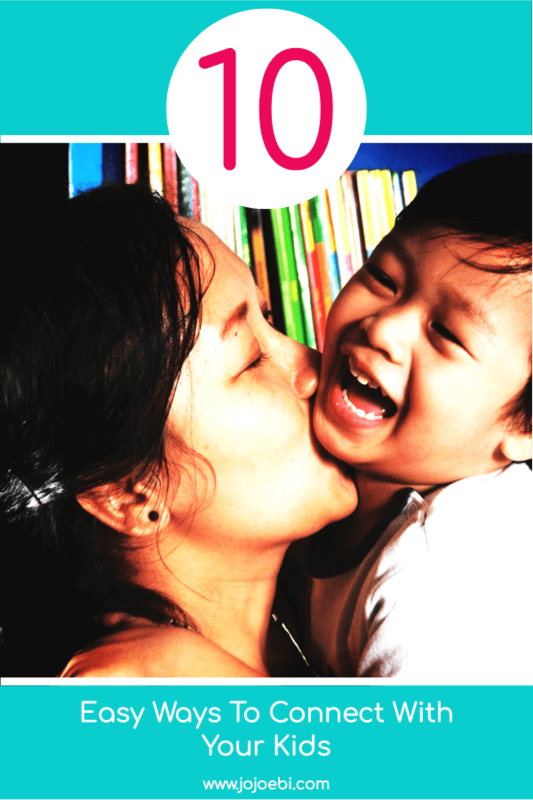 Find ways to have fun and laugh every day, what is it that makes your kids laugh? Daft YouTube videos? Dad jokes? You goofing around? Playing pranks on each other? All these steps are do-able one way of the other, the main thing is to remember to do them, some of them you can build in as daily habits, like the chat at night or hugs before leaving the house and some you might have to work on. Don’t think you have to do them all at once, remember the kaizen way, a small improvement every day will get you there. 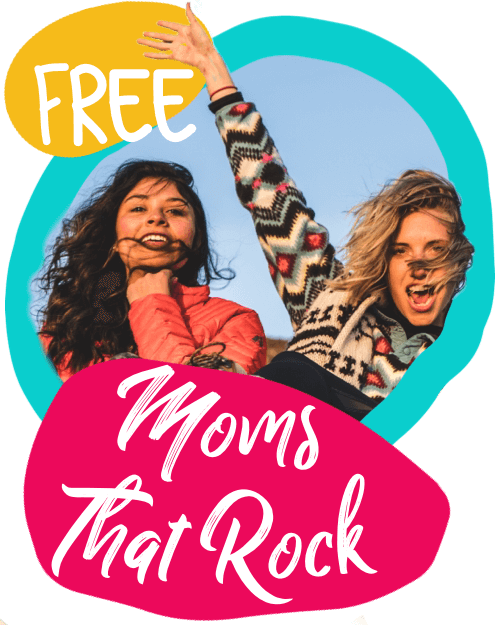 So, what are you going to start with, let me know in the comments or over in Moms That Rock. 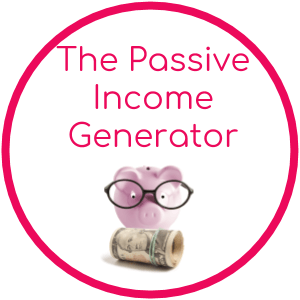 Are you struggling to juggle kids, home and business and looking for a way to get a handle on it all? 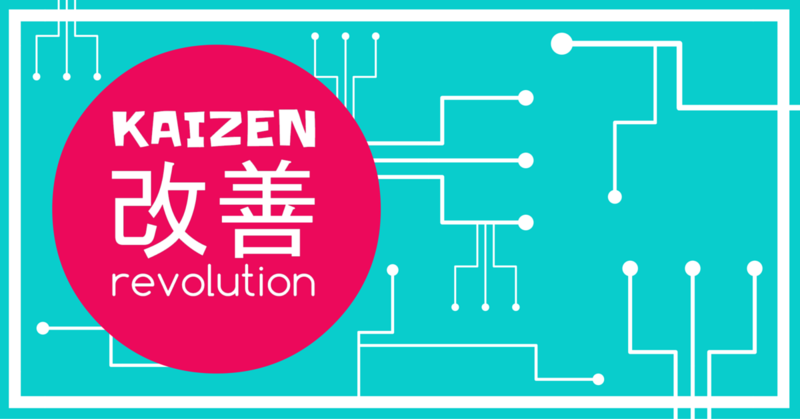 Then hop on the Kaizen Revolution VIP waiting list and I will let you know as soon as the doors open again. 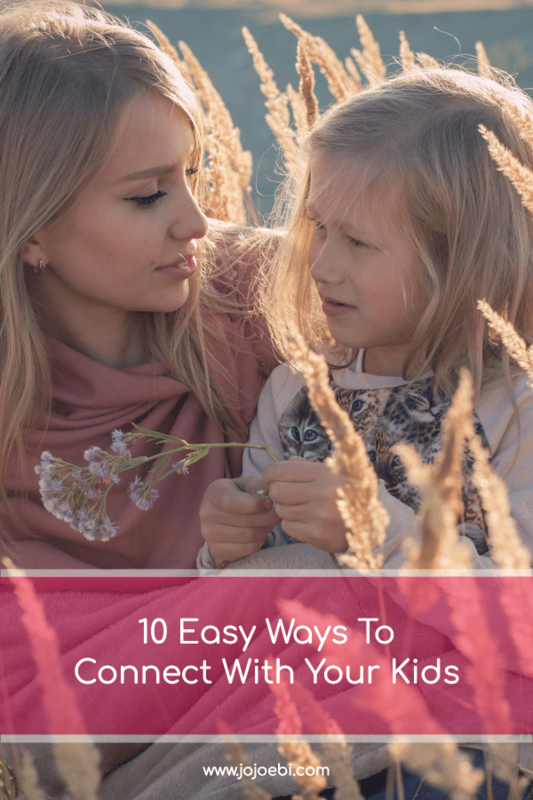 One Response to "10 Amazing Ways To Connect With Your Kids"